Known as the W125, the grand prix car employed some of the most advanced technology of its time, including a stiff tubular frame construction, a constant mesh transmission, and a supercharged, eight-cylinder engine that made 637 bhp and sent the car hurtling to speeds of up to 195 mph. At the same time, the Silver Arrows embodied a pure, organic design with reduced lines and functional shapes. 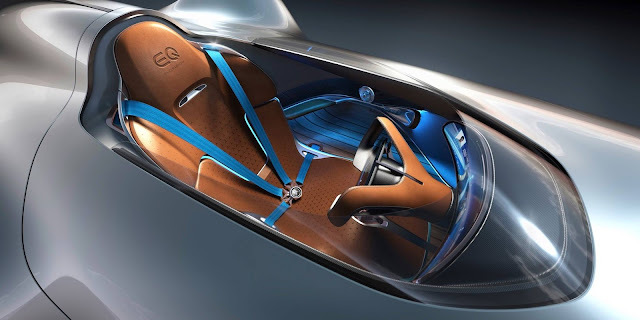 Fast-forward to this year’s Monterey Car Week, when Mercedes-Benz designers rolled out the EQ Silver Arrow Concept, an electric single-seater that is both a nod to the racing cars of the past and a glimpse of things to come. 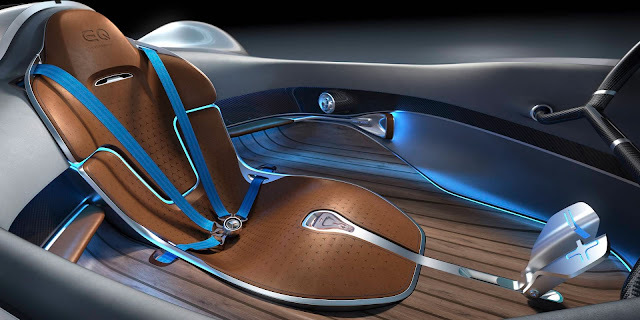 “We created a new legend of the Silver Arrow for the next century,” says Mercedes-Benz chief design officer Gorden Wagener, who presented the concept car at a private mansion in the hills above Monterey. But instead of a hearty inline-eight engine, the EQ Silver Arrow Concept is powered by electric motors that achieve a combined output of 738 hp and a range of more than 250 miles. Like its inspiration, the EQ Silver Arrow Concept also employs a pure design, but instead of bare aluminum, its body is made from carbon fiber, which is painted in luminous silver to achieve the look of liquid metal. Gargantuan, multi-spoke wheels are trimmed in rose gold and are visible through cutouts in the fenders. The all-electric EQ Silver Arrow has a range of more than 250 miles. The cockpit requires much agility to enter and exit due to the car’s lack of doors, as we found out for ourselves when we had a chance to sit inside. The interior’s warmth of Saddle Brown leather and pinstriped walnut contrasts with brushed aluminum trim. 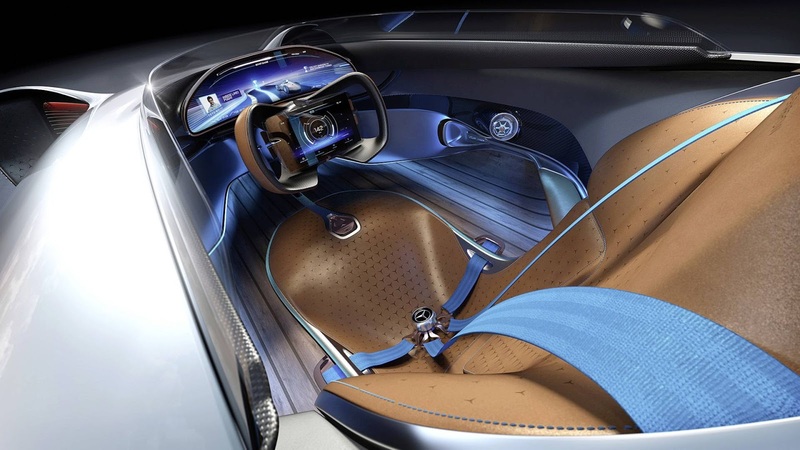 The seat sits low and close to the ground, while a large panoramic screen projects a 3-D image of the driver’s surroundings. Since the all-electric concept is virtually silent, Mercedes-Benz engineers have fitted the EQ concept with optional sounds—including that of a UFO and even an old-school V-8. While the EQ Silver Arrow concept is only a design study, Wagener says the vehicle previews the design language of its forthcoming lineup of EQ electric production vehicles. The brand’s first electric SUV, the midsize EQC, was unveiled in Stockholm, Sweden, on September 4.